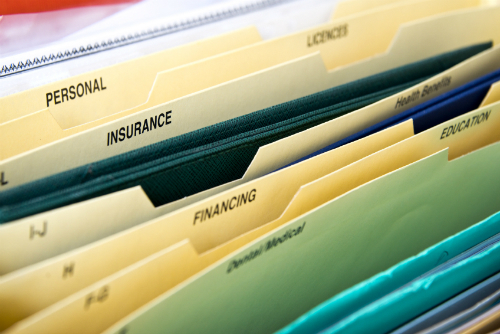 Start simple: Come up with a filing system that’s relatively easy to use. You don’t want your filing system to be more stressful than the stress it’s supposed to alleviate. Don’t scrimp when you buy a filing cabinet: Invest in a cabinet of good quality. Poorly made filing cabinets tend to break down in the crunch. When your files get larger and heavier, their weight can strain a cheap filing cabinet and make it difficult for the drawers to open smoothly — or to open at all, for that matter. And try to find a cabinet that won’t make your room look like an claim-adjusters office. Many of the traditional office cabinets are big and, frankly, pretty unattractive. Avoid Lower Moravia: The most common error people make when creating a filing system is to come up with categories that are too specific. For example, a file titled “Travel articles about Lower Moravia” won’t fit well in your system unless you’re definitely planning on going there or you’re writing your master’s thesis on this topic. If you continue in this vein, you’ll be overrun with file folders in no time, and you’ll have a heck of a time ever finding anything — if you ever want to. Start with fewer, broader categories. Culp recommends that you stack your To Do basket on top of your To Pay basket on your desk. Keep the To File basket under your desk, out of the way of your more immediate paper needs. You can keep the To Read basket in a different part of your home — such as your bedroom or study — so that you can catch up on your reading whenever the opportunity arises. Make filing a habit: Find a time during the week to empty your To File basket and file those needed papers away. This task really shouldn’t take long — 15 or 20 minutes should do it. Fine-tune later: At a later date, take a look at what’s in your files. Usually, you find that a file is either underused or bulging. If you find that you have only one or two things in a file folder, find or create a file that’s broader in scope. Alternatively, if you find that a folder is overflowing with contributions, create subcategories, either by topic or by dates.